Looking for a traditional neon sign that gives off that retro vibe for your business without the expensive initial cost and maintenance costs? 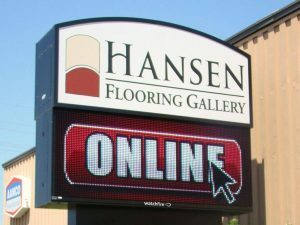 LED signs are a fantastic, cost-efficient modern option! With high-efficiency, low-energy LED bulbs, Chicago Sign Company mimics the neon look at a much lower price point. The popular retro look is not compromised, just with a more environmentally friendly footprint. 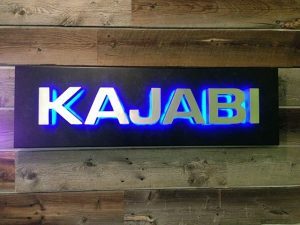 If you are looking for a lighted sign, but in a different style, LED backlighting can be added to a variety of sign types, including acrylic signs, channel letter storefront signs, and cabinet signs. 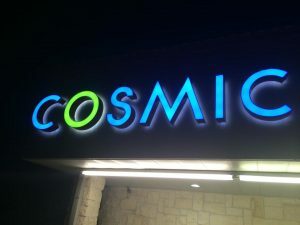 For businesses such as nightclubs, restaurants, hotels, and theaters, lighted signs will make your establishment stand out in the dark, perfect for businesses that are open late. Our LED signs are created to fit your specific desires, available in a wide variety of style, color, and animation options. Call Chicago Sign Company today at (312) 626-3766 for a Free Consultation! Beyond storefronts, LED signs are also frequently used indoors, most commonly in the form of an illuminated OPEN sign for business. 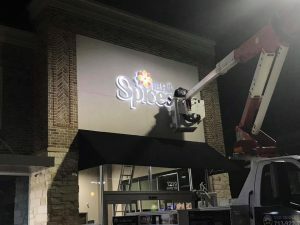 You can use lighted signs to advertise any component of your business, however, such as attracting attention to a particular location within your business, such as order/pickup stations, even exit signs. These signs can be made with the use of standard lettering and fonts or can be completely custom created to suit your specific business needs. Looking for a updatable, custom message board to inform customers or staff? Chicago Sign Company provides custom, programmable LED Message Center Signs that are standalone or a part of your storefront, pole, or monument sign. Our LED Message Centers offer many benefits over standard neon or LED signs, including easy customization allowing you to update your display at any time. There are many different types of message centers to choose from, from single color units to full-color graphic displays that are sure to leave a lasting impression. We are a complete LED sign company, handling every component of LED sign production, from design through installation and repairs. 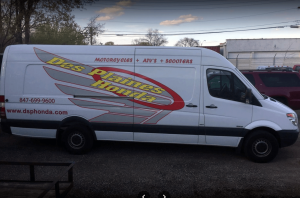 With a custom sign from Chicago Sign Company, you can feel confident that you are getting a quality sign and a quality sign partner who will be there for you for all of your current and future signage needs. We have the equipment and ability to produce any type of business signage you need, including lobby signs, storefront signs, ADA signage, trade show displays, vehicle wraps, indoor/outdoor banners, yard signs, and more. Attract customers like moths to a flame with our custom LED signs! Call Chicago Sign Company today at (312) 626-3766 for a Free Consultation with a Neon Sign Specialist!